When you’re looking at a vehicle that’s built to head out on the trails you expect this vehicle to have the driving power you need and a large amount of low-end torque to make sure you can get where you need to go. Most of the time these vehicles may not have a great deal of options and features for you because they could be a special version of the base model, but when you choose the Jeep Wrangler you’re going to have an off-road beast for the ride on the trails around North Lauderdale and have the features you want. You’re not going to find a luxury-laden model with the Jeep Wrangler and it will be extremely difficult for you to find a seriously smooth ride on the roads with this SUV, but when you get it out on the trails in your area, this will be the perfect choice for you. 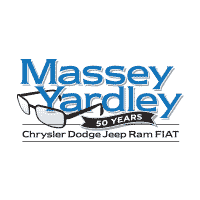 If you want this impressive SUV for the fun on the trails around North Lauderdale you need to see the team at Massey Yardley Jeep Chrysler Dodge Ram in Plantation, FL so that you can have the fun you’re looking for. Starting at the base model, which is the Sport trim of the Jeep Wrangler you’re going to find that you’ll have the benefits of skidplates, stability control with roll mitigation, hill start assist, trailer sway control, a USB port, an eight-speaker audio system, removable doors, a folding soft top, and the look you want. The items you’re not going to see as standard fare for the Jeep Wrangler you drive in North Lauderdale includes power windows, door locks and air conditioning, which aren’t needed when you have a removable top and doors that can come off when you want them to. Move up the trims of the Jeep Wrangler and you can have the four-door Unlimited models or upgrades two-door versions. There is a Power Convenience Group that adds the items you need to make this a daily driver you can trust with the addition of power locks, power mirrors, power windows and keyless entry. Check out the Cold Weather Package if you like to take the Wrangler out to the mountains and will need the benefits of heated front seats, an engine block heater and a remote start system that can be useful in the Wrangler you drive around North Lauderdale. Are you ready for some adventure out on the roads and trails in your area? If so, you can choose the Jeep Wrangler from Massey Yardley Jeep Chrysler Dodge Ram in Plantation, FL and be able to choose the right version for you to have the drive you want in North Lauderdale. This amazing SUV has been offering us the drive we want on the trails for over 75 years and it will continue to do so as long as we want to head out into the wilderness and experience the adventures of nature.